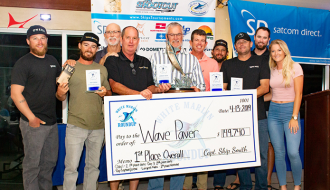 Run-Off ran off with a record $1,161,450 prize Saturday as it scored a wire-to-wire victory at the 59th annual Big Rock Blue Marlin Tournament. Run-Off weighed in a 533.8-pound blue marlin caught early Monday by angler Matt Hanley of Glen Allen, VA. Hanley’s catch stayed atop the standings the rest of the way. Run-Off captain Brian Harrington, Morehead City, and first mate, Marty Hiatt, teamed with Hanley to help the angler land his first-ever blue marlin. The trio were aboard Run-Off Saturday afternoon at the Morehead City waterfront docks as the final seconds of the competition ticked away. A boisterous celebration with friends and fans began one second after 2 p.m. when a Big Rock official confirmed over the radio that no boats were hooked up. That meant the tournament had officially ended. A clog jam of people and cars parked in no parking zones near the Run-Off were eventually dispersed by law enforcement officials who totally understood the cause of all the excitement. Hanley’s catch initially won $467,500 Monday because it was the first 500-pounder caught by a team entered in the Level V Fabulous Fisherman’s “Winner Take All” division. 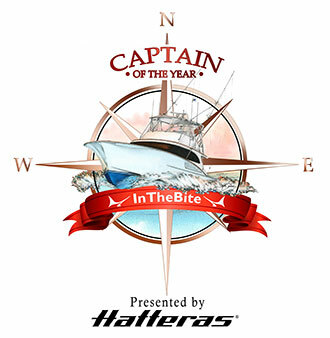 Run-Off received an additional $693,950 for finishing first with the largest blue marlin. 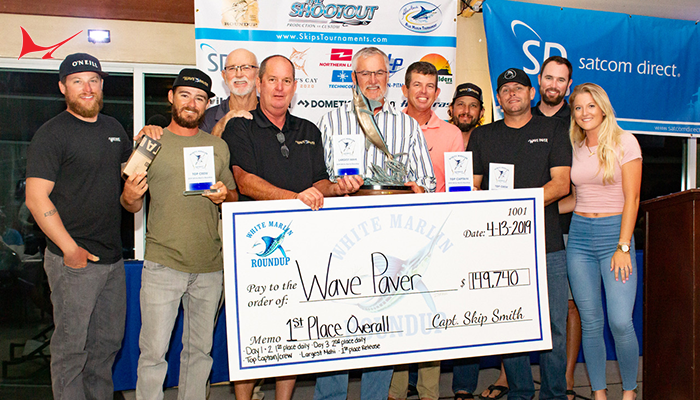 The Run-Off prize tops the previous Big Rock record held by Sea Striker captain Adrian Holler. In 2001, Holler won $942,100 during the 43rd Big Rock. That proved to be the biggest payday in sports that week — topping the $900,000 that Retief Goosen received for winning the 101st U.S. Open Golf Tournament played in Tulsa, Okla.
Ironically, Hanley is a U.S. Open golf fan. Hanley was nervous as a cat during the final minutes of the Big Rock. He knew a boat named Bull Frog had been fighting a hook-up for more than an hour. With 10 minutes left in the competition, Bull Frog captain Bob Eakes, announced via radio that his crew had released its blue marlin. The cheer that sprang forth from the Run-Off crowd could be heard two blocks away inside Big Rock headquarters. Harrington should consider this: Only one sporting event in the nation will have a bigger winner’s payday this weekend. After the Big Rock paid out more than the U.S. Open in 2001, USGA officials increased their tournament’s first-place prize, which is now $2.16 million – the most lucrative prize in golf. Rehab won $250,720 for finishing second with a 506-pound blue marlin caught Friday by Ryan Howard of Savannah, S.C. Rehab captain Nathan Shepard, Statesboro, teamed Howard and the mates to boat their catch in 75 minutes. Weldor’s Ark, captained by Mike Taylor, Swansboro, finished third in the blue marlin standings to win $166,480 for the 484.9-pounder landed Monday by angler John Roberts, Greenville. Weldor’s Arc was bumped out of second by Rehab but avoided any additional slide down the leaderboard when no bigger blue marlins were caught. The 59th Big Rock had a field of 177 boats but most were fished out by the final day. Competitors are only allowed to fish 4-of-6 days in the competition. Just 53 boats were eligible to fish Saturday and choppy seas limited anglers to 11 releases: one blue marlin, seven white marlins and three sailfish. Bull Frog’s blue marlin release — the one that the Run-Off celebrated with 10 minutes remaining in the competition — was worth $48,520 in the daily release division. Anglers tallied 160 billfish releases during the tournament, including 78 blue marlins. 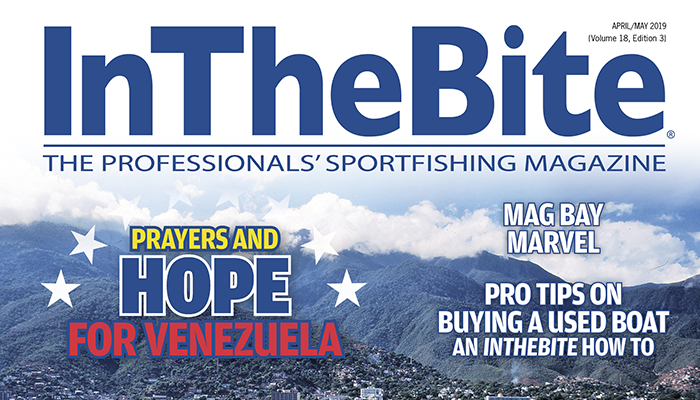 Only five blue marlins were brought to the scales for a tournament release rate of 96 percent. Sea Toy, captained by Bull Tolson, Manteo, won the release division with 2,525 points. 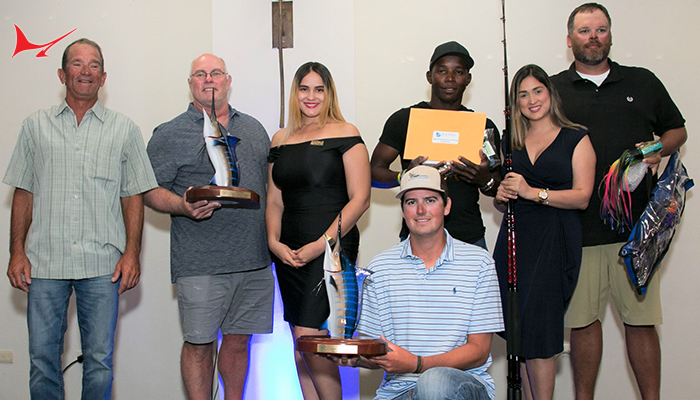 Sea Toy anglers caught and released six blue marlins and one white marlin to win $139,187 in addition to the $48,520 Tuesday WTA release prize. 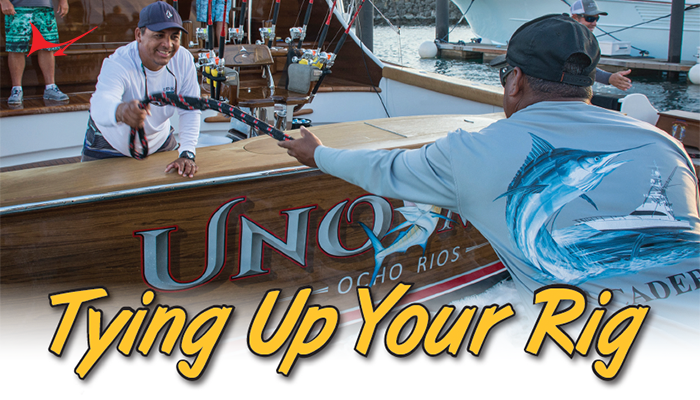 Uno Mas, captained by Tommy Lynsky, Ft. Lauderdale, FL, scored 1,575 points by releasing three blue marlins, one white marlin and two sailfish. Uno Mas won $80,962 for finishing second in the release division in addition to two daily prizes of $48,520 each. Marlin Fever, captained by Cameron Guthrie, Morehead City, tallied 1,450 points from three blue marlin releases and two white marlin releases. Marlin Fever finished third to win $53,975. 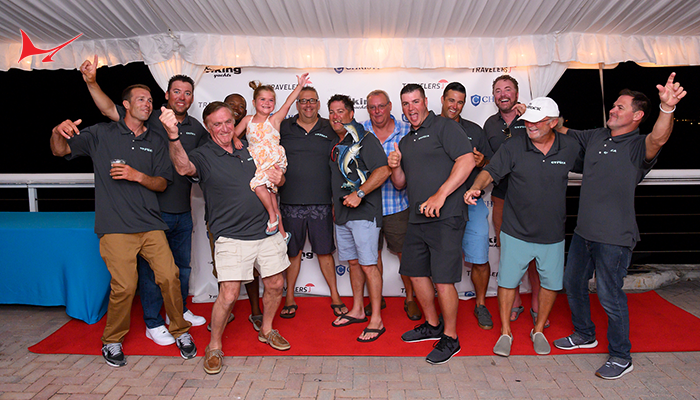 Islander, captained by Bobby Schlegel, Greenville, captured the WTA dolphin division with a 69.1-pounder that was reeled in Tuesday by angler Jess Powell, Nashville. Powell’s catch was worth $137,700 plus a $2,000 daily prize. Doc Fees, captained by Jed Galloway, Wilmington, won the wahoo gamefish division lead with a 97.7-pounder caught by Chad McIntyre, Raleigh. McIntyre’s catch was worth $5,000 plus a $2,000 daily prize. No boat has managed to land a yellowfin tuna during the tournament. Megabite, captained by Teak Bell, Wilmington, tallied the 59th billfish release of the 59th Big Rock and will receive $5,900 for that timely release. Six boats won $5,000 apiece for recording the first release of the day. The daily release winning boats are Buddy Boy, Island Girl, Strike One, Ann Warrick, Little Less Talk and Pig Rig. “This has been an amazing tournament,” said tournament director Crystal Hesmer, who has presided over the last 20 Big Rocks. 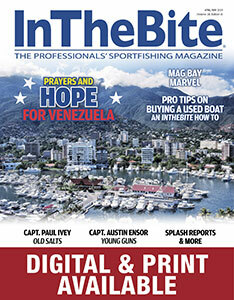 “We had a record purse, a record payout to the winning boat and record payouts to our release winners. It’s really amazing. The 59th Big Rock wrapped up Saturday night with an awards banquet set at the Crystal Coast Civic Center. 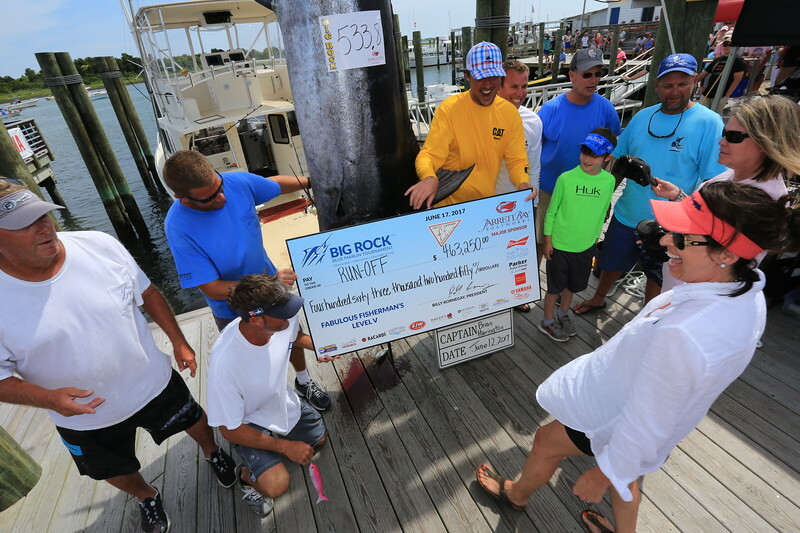 Big Rock officials use the occasion to distribute checks to the winners and thank participants, sponsors and volunteers for making the tournament a huge success.